Nomads of Arabia - Games, Toys & more e.U. Jolly Thinkers Learning Centre Ltd.
Out of the Box Publ. Inc.
Warhammer Fantasy RPG 2nd Ed. Follow the Pilgrim on the path to Mecca, capturing wild camels, goats, donkeys and horses on the way. The desert shifts - don't let your herds get lost in the desert! In cities along the way you can sell your animals and find new handlers to help you capture different animals. When you reach Mecca, the Nomad who has made the most money selling his animals wins the game!! Choose a first player. Players will take turns in clockwise order. 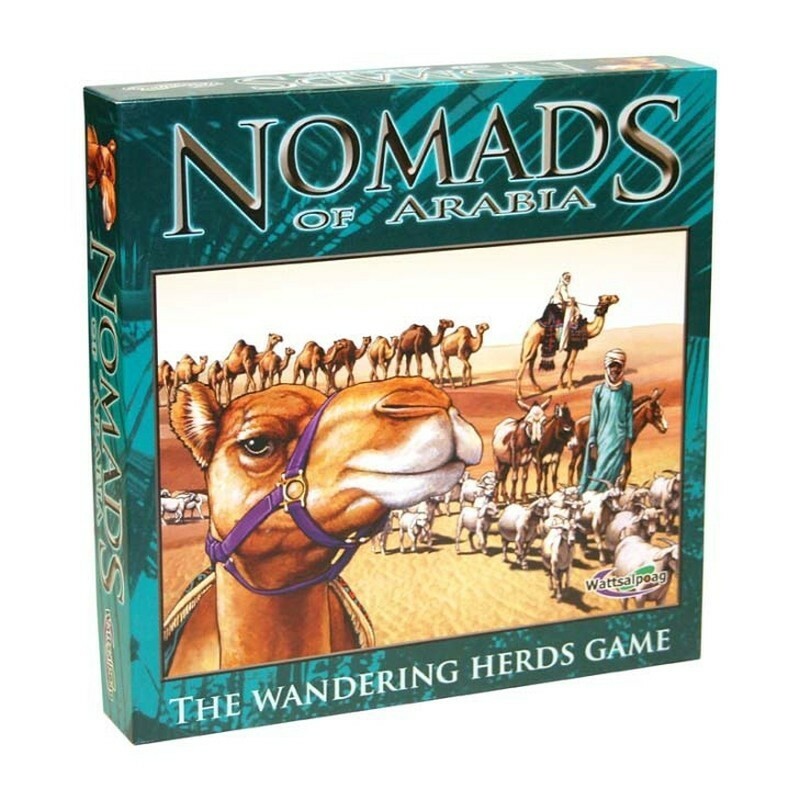 On a turn, you will move your Nomad (or not), use Handlers to capture or call wild animals, shift the desert, or sell your animals in the cities. Nomads must keep moving to avoid being lost in the desert, and the Pilgrim travels constantly toward Mecca. When the players reach Mecca, the Nomad who is able to make the most generous offering wins the game.